You don't want to miss out on this newly renovated, turnkey mobile home located in the 55+ Lugonia Fountains community in beautiful North Redlands! It is now ready for it's new owners!! This home is move in ready with brand new carpet, brand new linoleum flooring and has just been freshly painted! The kitchen has new counter tops, and new window coverings throughout. This is a great floor plan with 2 bedrooms, 2 full baths, separate living and family rooms, dining room and good sized kitchen! This is a corner lot, with a decent sized yard with fruit trees, storage sheds, and room for parking 2-3 cars! The water heater, furnace and ac units are all in great condition! Roof has a lifetime warranty! Don't miss out on this great buy! Call for your private showing today! 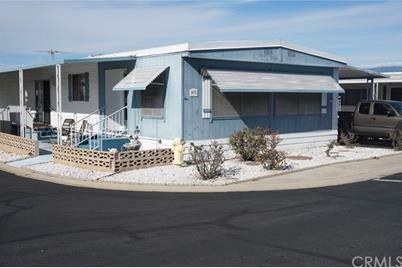 1251 E Lugonia Avenue #93, Redlands, CA 92374 (MLS# IG19086369) is a Mobile Home property with 2 bedrooms and 2 full bathrooms. 1251 E Lugonia Avenue #93 is currently listed for $94,900 and was received on April 16, 2019. Want to learn more about 1251 E Lugonia Avenue #93? Do you have questions about finding other Mobile Home real estate for sale in Redlands? You can browse all Redlands real estate or contact a Coldwell Banker agent to request more information.